New Color Of Redmi Note 5 "RED" Cool! After the huge success of redmi Note series smartphone in India. 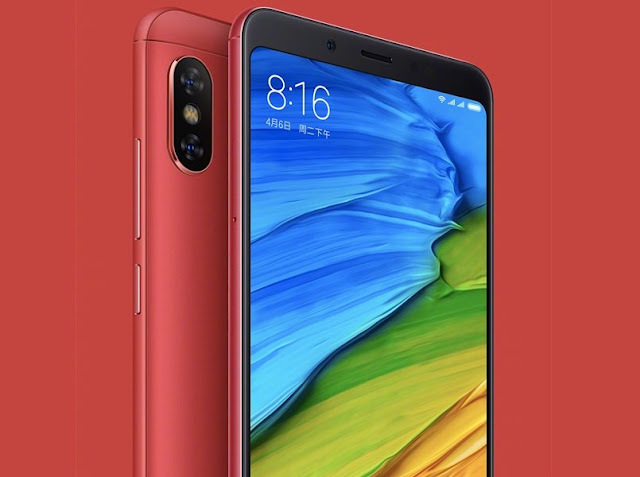 Xiaomi made an official new color option for redmi Note 5 users, Xiaomi has quietly launch his new flame red color smartphone of redmi note 5 recently in China. The new color variant of redmi note 5 is called flame red, and which is priced approximately Rs 14,500. And this smartphone comes with 64 GB of storage and 4GB of Ram and in case of pricing its nearly 1000 RMB more than the normal existing one. And there is no change in the other specification of the smart phone call redmi note 5 from its previous one the basic change of these smartphone is one of the new color which is the flame red recently launched by xiaomi in China which really looks nice in this smart phone which have dual rear camera setup at the back and single camera setup at the front which means that redmi note 5 which is launched in China and also launch in India as a name of redmi note 5 Pro so guys this is the new color for this is smart phone which is there is no clear information about whether they are going to launch this red color variant in India or not but its look in the redmi note 5 Pro.